As per Alzheimer's Society -- a care and research charity for people with dementia and their carers -- the numbers are expected to rise to two million people in Britain by 2051. Scientists have found that a drug developed for diabetes could be used to treat Alzheimer's disease through a triple method of action. The drug, originally created to treat type 2 diabetes, "significantly reversed memory loss" in mice, a paper published in the journal Brain Research, said. 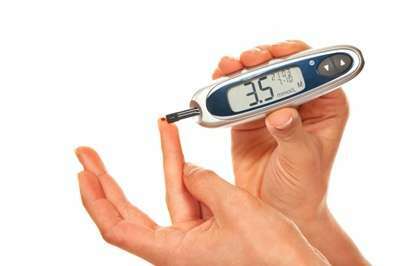 Type 2 diabetes is a risk factor for Alzheimer's and has been implicated in the progression of the disease. According to lead researcher Professor Christian Holscher of Lancaster University, the treatment "holds clear promise of being developed into a new treatment for chronic neurodegenerative disorders such as Alzheimer's disease". Alzheimer's disease is the most common cause of dementia. As per Alzheimer's Society -- a care and research charity for people with dementia and their carers -- the numbers are expected to rise to two million people in Britain by 2051. "With no new treatments in nearly 15 years, we need to find new ways of tackling Alzheimer's," Dr Doug Brown, Director of Research and Development at Alzheimer's Society, was quoted as saying. "It's imperative that we explore whether drugs developed to treat other conditions can benefit people with Alzheimer's and other forms of dementia. This approach to research could make it much quicker to get promising new drugs to the people who need them," Brown added. In a maze test, learning and memory formation were much improved by the drug. It also enhanced the levels of a brain growth factor which protects nerve cell functioning, reduced the amount of amyloid plaques in the brain linked with Alzheimer's, chronic inflammation and oxidative stress.